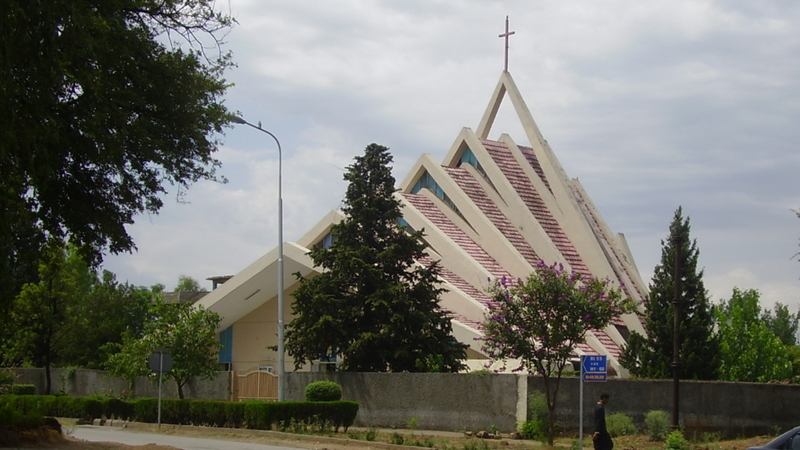 Christian church in Islamabad, Pakistan. Kasur District Additional Sessions Judge Ijaz Ahmed Bosal dropped charges against Pervaiz Masih, 38, last week after prosecutors failed to submit any evidence against him. Masih’s attorney, Aneeqa Maria of The Voice Society, told Morning Star News that the prosecution failed to present even one witness against him during the three-year trial in Punjab Province. The case against him was registered in September, 2015. Masih’s family has said area Muslims entrapped him in a false blasphemy case after he obtained a sand contract in Garra village, near Mandi Usmanwala in Kasur District. Masih’s brother, Jamshed Masih, told Morning Star News at that time that the family was unaware of any accusations until the village mosque’s prayer leader began spreading word that Pervaiz Masih had blasphemed Islam’s prophet, Muhammad, during a discussion a few weeks earlier. Jamshed Masih said that 300 to 400 Muslims from the village and surrounding areas shouted chants against the Christians and vowed to avenge alleged “disrespect” of their prophet by burning his brother alive. Pervaiz Masih had obtained a contract for sand from a local dealer at a better price than that of his Muslim competitors. Since then, they had nurtured a grudge against him, his brother said. On September 1, 2015, Masih’s competitors began spreading word that he had disrespected Muhammad, according to Jamshed Masih. The following day, Perviaz Masih was arrested under Section 295-C of the blasphemy law, which calls for death or life imprisonment for blaspheming Muhammad. A day before he was arrested, a large police contingent had raided Masih’s village and beat his female relatives and other Christians in their search for him, his wife told Morning Star News. Masih’s wife, Zarina Bibi, told Morning Star News at the time that police officers kicked family members and struck them with their fists and batons. On December 13, two Christian brothers were sentenced to death under Pakistan’s blasphemy law. This verdict came down about one month after Christian mother Asia Bibi was acquitted of her blasphemy charge, allowing her to leave death row. Jehlum District Additional Sessions Judge Javed Iqbal handed Qaiser and Amoon Ayub the death sentences for allegedly posting blasphemous content on their website, said Joseph Francis of the Center for Legal Aid, Assistance and Settlement (CLAAS). “Qaiser insists that he had closed his website in 2009, but that a Muslim friend somehow had been able to take the website back online while keeping it in Qaiser’s name,” Francis told Morning Star News. Francis said that CLAAS had filed an appeal against the trial court’s verdict in the Lahore High Court. “We hope that the high court will judge the case on merit, because we believe that the trial judge has convicted the brothers without considering the circumstances,” he said. Francis said that both brothers are married, and Qaiser has three children. Arrested in 2014, they were tried in the Jehlum District Jail due to security reasons. Francis told Morning Star News that the two brothers had fled Pakistan in 2010 after a quarrel with some Muslims friends. When they returned four years later, police arrested them on charges of blasphemy. Christian mother Aasiya Noreen, better known as Asia Bibi, was on death row for nine years after a wrongful conviction for blasphemy. She was acquitted and released on November 7 but remains in protective custody until the ruling is reviewed. On November 28, the United States added Pakistan to its blacklist of countries that violate religious freedom, ramping up pressure over the treatment of minorities in the country. US Secretary of State Mike Pompeo said in a December 11 statement that he had designated Pakistan as a Country of Particular Concern (CPC) in a congressionally mandated annual report. This means the US government is obliged to exert pressure to end freedom violations. One year earlier, Pompeo had placed Pakistan on a special watch list – a step short of the designation – in what had been seen as a US tactic to press Islamabad into reforms. Pakistan ranked fifth-highest country where it is most difficult to be a Christian. Although the US Commission on International Religious Freedom (USCIRF) has long recommended Pakistan be designated as a CPC, the US State Department had never done so. Pakistan ranked fifth on Christian support organisation Open Doors 2019 World Watch list of the 50 countries where it is most difficult to be a Christian. * Morning Star News, printed with permission.